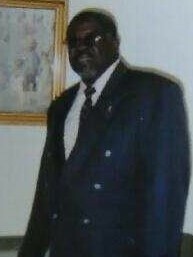 West's Mortuary, Inc. | Mr. Willie James Solomon "Ricky"
Mr. Willie James Solomon "Ricky"
Funeral services for Mr. Willie James “Ricky” Solomon of Montezuma, Georgia will be held on Monday, July 17, 2017 at 12:00 Noon at Piney Grove Baptist Church, Montezuma, Georgia. Burial will follow at Andersonville National Cemetery. Mr. Willie James Solomon, better known as “Ricky” was born February 27, 1951 in Macon County, Georgia to Ms. Dorothy Nell Solomon and the late Earl Jessie Joseph. Ricky grew up in Montezuma and attended the public schools of the county. He was a member of the D.F. Douglass High School class of 1970. After high school, he served his country honorably in the United States Army. Mr. Solomon was awarded the National Defense Service Medal, Vietnam Service Medal with two Bronze Service Stars and the Republic of Vietnam Campaign Medal. Ricky passed away on July 12, 2017 at his residence. One daughter, Tammy Witchard, preceded him in death. Left to cherish his memories are his mother, Dorothy N. Solomon of Montezuma, Georgia; three daughters: Lawanda Witchard of Hartford, Connecticut, Denesha Solomon and Charlene Carr both of Montezuma, Georgia; his fatherly love also extended to the children of the late Evelyn Witchard and the children of his current companion, Mae Eula Walker; five siblings: Loisteen S. Sparks (Willie) of Indianapolis, Indiana, Bennie R. Solomon of Fort Valley, Georgia, Otis L. Solomon of Prattville, Alabama, Kowetta Solomon and Lessie Solomon both of Montezuma, Georgia; five grandchildren and three great-grandchildren; six aunts: Peggy Hankerson (James) of Oglethorpe, Georgia, Lillie B. Solomon, Marie Jackson and Mildred Frederick all of Montezuma, Georgia, Jimmie L. Alexander of Lawton, Oklahoma and Estella Crawford of Killeen, Texas; several nieces, nephews, and a host of other relatives and friends. To view this service live or to view at a later date, click on the link below.